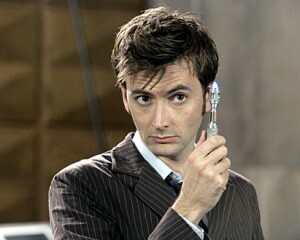 David Tennant To Star in new Series Titled ‘The Escape Artist’!!! The former Doctor, David Tennant began shooting his new series today called ‘The Escape Artist‘, in which he’ll play the lead Will Burton. The series is a three part legal thriller in which Tennant’s character Burton is an insanely good lawyer who is known for getting tons of people out of tight legal situations as his nickname around town is….you guessed it, ‘The Escape Artist‘. However, his superb talent backfires on him when he gets a client off for a gruesome and horrific murder trial. This sounds pretty decent, and I’m sure it will be. Tennant hasn’t done anything terrible yet. He will be seen on BBC America in April with a two-part mini series called ‘Spies of Warsaw‘. Looking forward to ‘The Escape Artist‘. How about you? ‘Doctor Who’ Will Continue For Another 5 YEARS!!!! This entry was posted on Thursday, January 31st, 2013 at 12:46 pm	and is filed under News, Television. You can follow any responses to this entry through the RSS 2.0 feed. You can skip to the end and leave a response. Pinging is currently not allowed. « Film Review: ‘Stand Up Guys’!! I really think we can stage a hit-and-run and get away with it.